Simply the best barbies under the Aussie Sun! 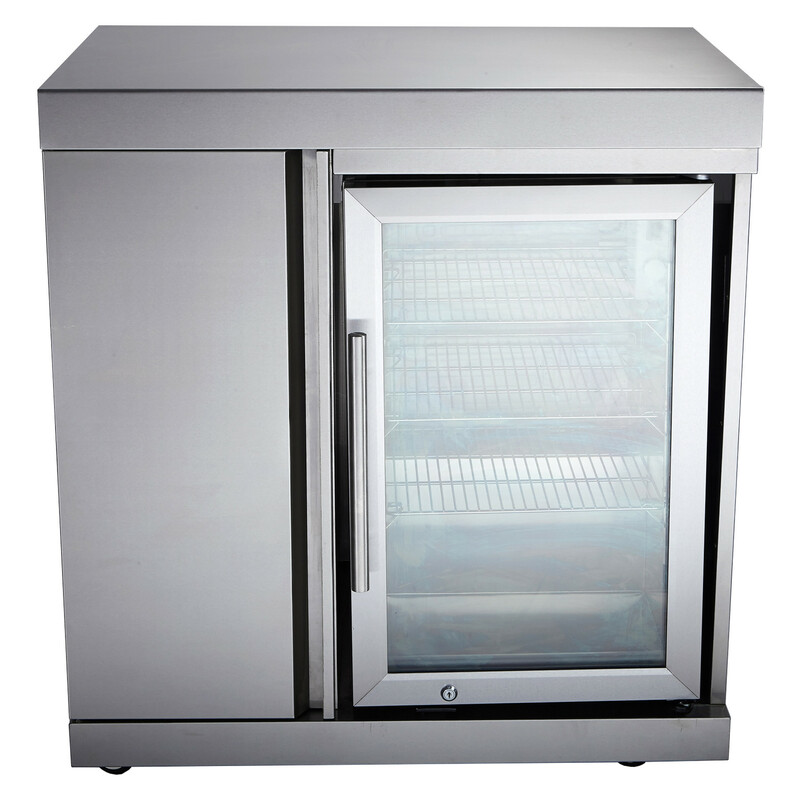 Essential for any full outdoor kitchen setup, this brilliant new model features a sub zero rated, full stainless steel fridge with storage cupboard to the left of the module. With variable thermostat control you can keep the beer and soft drinks icy cold and your wine waiting at the perfect summer temperature for those steamy summer days. And features including blue LED lighting, triple glazed glass door and a target temperature of -5 to +5 deg, this module stands shoulders above any opposition. The Single Fridge Module can be attached to all other modules and barbecues in the ChefMaster Galley series.